​Leakage and trauma caused by the constant changing of a bag can lead to sore skin. 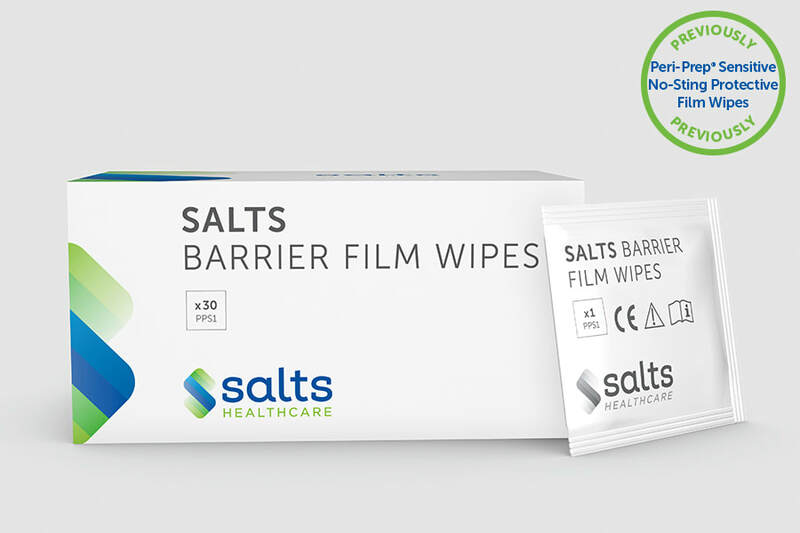 Salts Barrier Film Wipes are specifically designed to leave a gentle, protective film on the skin immediately around the stoma. They can help to protect the skin against leakages, prevent sore skin due to frequent bag changes, and prevent perspiration penetrating the adhesive. Apply to clean skin and allow to dry before bag application. Please note: Salts Barrier Film does not need to be removed with every bag change.